Although the guitars are not up on Musicians Friend or Sweetwater, they are listed on the Yamaha USA site. Anyway, if these are built in the same factory in China that builds Yamaha acoustics, the quality should be good. Also, they sort of remind of some Reverend models with the mat flamed-maple tops. Top of the range made in Japan, the rest in Indonesia according to the GuitarGuitar website. I am going to buy a 502; the sort of guitar you can gig with confidence! As long as they dont have Pacifica sized necks these should be awesome. Mid priced SG has finally returned (close). Cant wait to try one out. You'll HAVE to give a full report when you do. Because, after seeing this new line (especially the 502) I'm full-on torn between these and it's almost-twin Reverend Sensei 290. I'm talkin' knuckle-biting TORN, here! Gawl DAMN, that is a good looking guitar. All over these. I've played several at my local, but I'm waiting for the 502 to show up before I decide which one comes home with me. I was considering the Godin Core CT P90, but a small aesthetic change to that model made me look elsewhere. 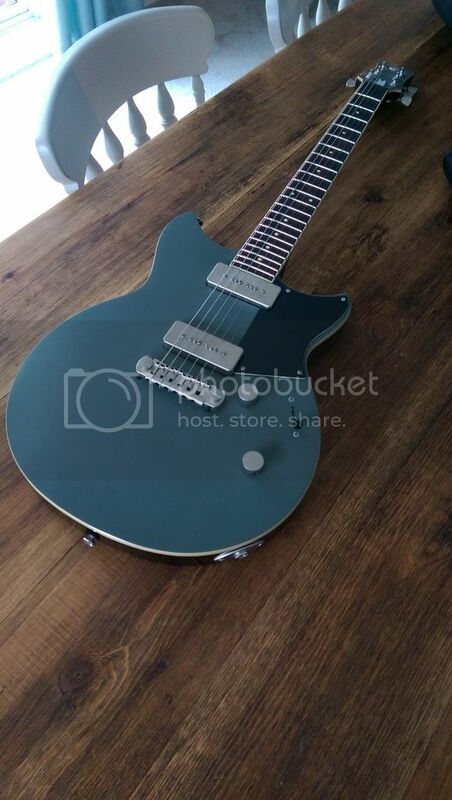 Whats the neck profile like on them? Darn, I'd buy a MIJ version of that. I have played around with quite a few of these, I'm pretty sure I've had a shot of every model, and I have to say that without exception I have been impressed with them at every price point, it really does feel like you're getting you're monies worth with these models of guitar. However I don't think they will ever replace the Pacifica or become as popular a guitar as the Pacifica especially among beginners, it's something to do with the shape, the Pacifica is based off a shape that even non guitar players can and do recognize and can even name guitarists who play guitars of the same shape, the Revstar doesn't have that, but then the Revstar is a completely new model and design for Yamaha, and it is quite original, and the guitars it can be claimed to be similar to are obscure guitars, even to the average guitar player. 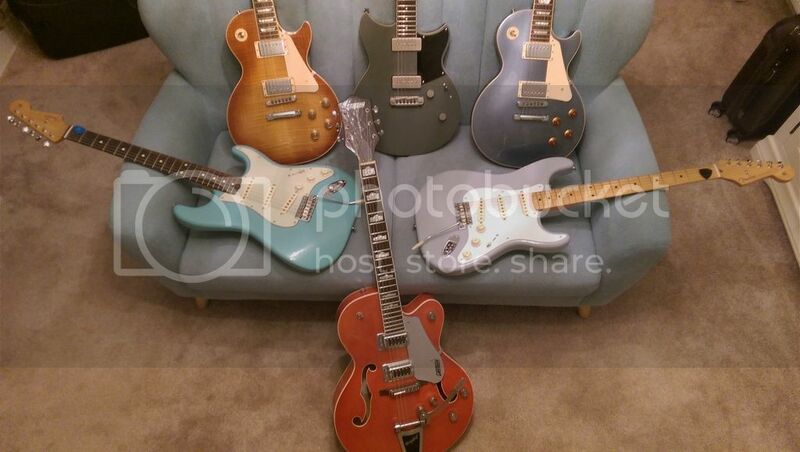 My favorite is the one with the Bigsby, though I'm not a fan of any of the colours that model is available in. those I played had a slim, fast neck; 60s more than shredder, though. Well, I can't find any around Toronto in shop that I can look at. That might be a good thing as I don't have the dough anyway. This gives me something to save up for when they finally get some distribution in these parts-usually a year behind. i really like the head stock shape on those. No doubt that Yamaha Japan makes some exquisite instruments. But I think that Yamaha is easily one of the best 'bang for the buck' music gear makers. I've owned their electrics made in Japan, Taiwan, Indonesia, and China. None were duds and could give most guitars in their class a run for their money.